Alice is standing at the back. From the look on her face, she’s desperately wanting to get her hands on the cardboard strips and add to the bridge that’s forming in front of what looks like an impenetrable wall of boys. The children are all jostling for prime position to extend and strengthen the engineering feat that’s been bestowed upon them by their early-childhood teacher. So how is it that more than 40 years later, we both remember and understand Alice’s struggle? Haven’t things changed? Engineers Australia, in its statistical review of the profession, points out that women comprised just 12.4 per cent of the engineering labour force in 2016. As an association, it’s deeply worried. Its research shows that even when females are attracted to the profession, fewer are retained then men. Monash Faculty of Engineering Dean Elizabeth Croft recognises the challenge. “If we’re committed to increasing the number of women in engineering … we’ve got to work much harder to involve them from the start,” she said. One of the most successful early-childhood systems in the world – Sweden – has also shown that girls are rarely seen in the block area. It’s as though it’s a “no-go zone for girls”. 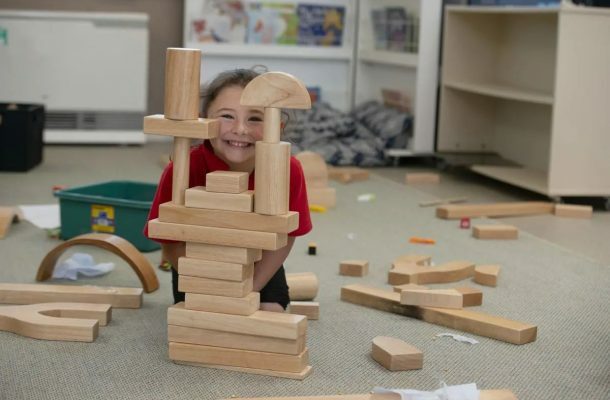 Jonas Hallstrom and his colleagues in 2015 reported that even when they manage to get their hands on the blocks, girls act as helpers for boys – they retrieve the blocks from the shelves and pass them on to the boys so they can seamlessly build their creations. Our own research in Australia painted a similar picture 20 years ago – so are our Australian stats a reflection of the fallout of children like Alice? Sadly, we don’t yet know enough about what’s going on now in Australia for girls and engineering. Could part of the problem be that girls like Alice simply get pushed away – and never recover? We just don’t know. 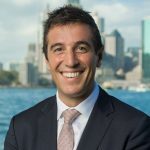 What we do know is that the Australian Research Council is putting $3.2 million into supporting a programmatic study of science, engineering and technologies for infants, toddlers and pre-schoolers. The case is compelling. The early work that fed into the directions of the Conceptual PlayLab, where this work will take place, has already shown that creative and innovative models of teaching engineering appear to change no-go zones into go zones for girls. How might this change the stats in Australia for women in engineering? If you’ve not yet had the pleasure of meeting a prospective female engineer at the beginning of the pipeline, then let me introduce four-year-old Freya. Unlike Alice and her female friends, who eventually gave up trying to build a bridge and walked off to another activity in the preschool, Freya’s story is very different. Freya was one of four preschool girls who just glowed when she participated in engineering, science and technology activities. Over 10 weeks, preschool teachers read the many chapters of the story of Robin Hood and created an imaginary conceptual playworld of Sherwood Forest – where the children could metaphorically travel to meet a castle engineer. Imaginary play is a feature of the conceptual playworld model. The children had a strong sense of social justice – as most of us know if we distribute treats incorrectly – and didn’t agree with the heavy taxing of the villagers who were starving. Another feature of the conceptual playworld model is to set up a social problem that needs engineering solutions. Friar Tuck had enlisted the children’s help by delivering a letter – to create a simple machine to retrieve the treasure. But over weeks the problems grew; some from the children and some from the teachers – preparing an escape plan, finding a way to manage the dragon guarding the treasure, building a model of their simple machine, and finally project-managing the rescue. The children in reality went into the outdoor play area of their preschool as a whole group – but in their imagination, they were in a time machine going back to be part of the Robin Hood story. Freya was well-equipped when she went back in time. She took an iPad and documented the pulley system in the castle – a model had been created on a climbing frame. She interviewed the castle engineer. Professor Marilyn Fleer demonstrates the Conceptual Playworld app at Mount Baker Community College in WA. A distinguishing feature of a conceptual playworld is focusing on real problems with real solutions – we usually underestimate what young children can and want to know to support their play! The children returned to their preschool, researched modern pulley systems using YouTube videos, and collectively designed and built their simple machine – which they called a “Grabby Hand Machine”. Remarkably, their design looked very much like a giant human arm! Freya demonstrated her design by moving her hand and fingers, pointing out the fulcrum – her elbow – as she explained how it worked. She had embodied the engineering principles, but had also used engineering terms to explain the system that was designed. Rather than feeling excluded from engineering like Alice, Freya’s excitement, along with that of her teachers, was infectious. Analysing video observations of children like Freya is fun and gives researchers a warm glow – very different to that of Alice. But importantly, it gives positive directions for teachers who want to change the story for girls. Rather than pressing negative buttons, the conceptual playworld approach gives an evidence-based model of practice for teachers and speaks directly to the community at large to change the story. We all want to turn the “no-go zones” into “go zones” in preschools and develop a pipeline of female engineers. But we need foundational research to find the best ways to do this. Teachers can download the free app and use it to plan and design their own conceptual playworld. To follow the stories about children such as Freya, you can visit the conceptual playworld website and register for automatic message notifications. 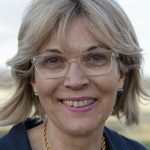 Marilyn Fleer holds the Foundation Chair in Early Childhood Education and Development at Monash University. Her interests include early childhood science, engineering and technologies and digital visual methodology framed through cultural-historical theory.